Welcome! This site is to provide information about and seek public input on the 2019 Lakewood, WA Shoreline Master Program (SMP) periodic update. to be considered by the City Council on April 15. View the draft Restoration Plan updates here. 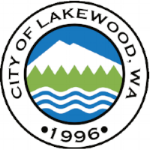 The City of Lakewood is conducting a periodic review of its Shoreline Master Program in accordance with the Washington State Shoreline Management Act (SMA) and the Department of Ecology (ECY) Shoreline Master Program (SMP) Guidelines. The SMP is an element of the Lakewood Comprehensive Plan and the City’s development regulations. Locally determined land uses, critical areas regulations and watershed plans will be factored into the 2019 SMP update. Draft documents, meeting information, and more will be available here as this project proceeds.